The Ouverture-Suite in A minor, TWV 55:a2 contains two consecutive minuets. The first is played by the strings alone and the second one features the flute as its leading instrument. 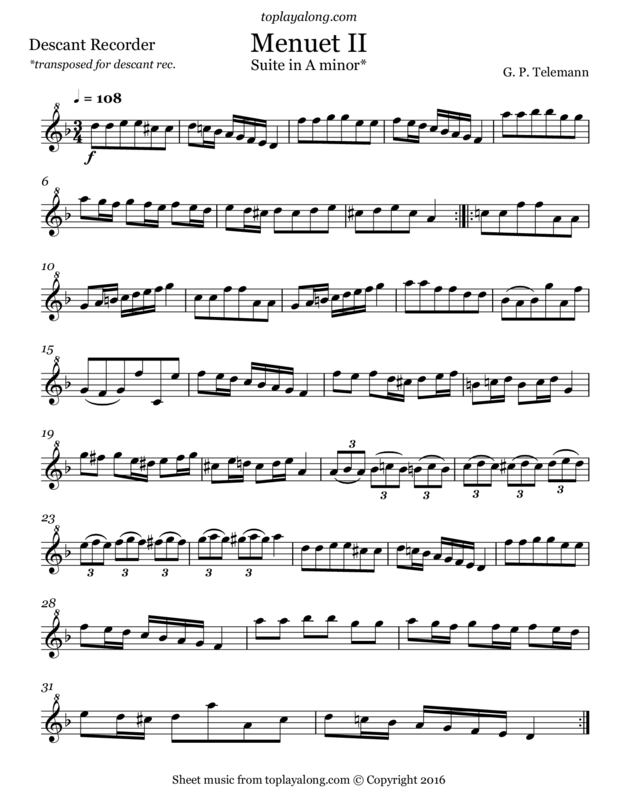 This second minuet is titled in French as “Menuet II”.